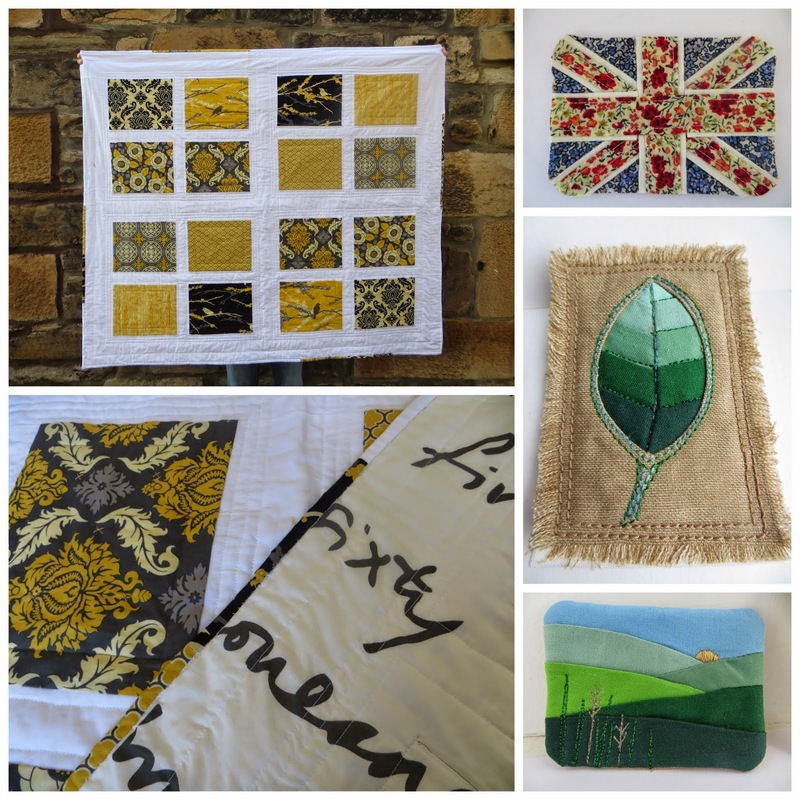 It's not very often that I can do a round-up of the previous month's activity because I am very slow at making things [insert shameless plug for Slow Blogger Linky Party here on 15th June], but this time I actually have enough to make a mosaic. I know, it's a very small mosaic compared to some but here is my May tally of finishes! I had a lot of fun making the ATCs - they are a tempting distraction when you know you should be getting on with something else... Liberty Union Jack ATC is going off to my partner this week - she has been very quiet so I hope she likes it. The quilt is very simple - it was the best way I could think of showcasing these large Joel Dewberry prints, which were a giveaway win. The blocks are partly hand-tied, so as not to distract from the prints, and the binding is white, with a scrappy section on each side of the quilt. It will go off to London, to be given to a teenage girl attending one of the charity's holiday camps, as soon as I can label it. I really hope that June is going to be another productive-for-me month - I want to make another quilt for ST, and I have a constantly-growing "To Do" list. I'm linking up, for the first time ever, to Fresh Sewing Day at Lily's Quilts. You had lovely finishes in May. You are going to make someone very happy with that gorgeous quilt. LOL, I love, how you Write your posts. I think, we are totally the opposit. I love your mosaic, especialy the leave! I love your teeny ACTs! They are all gorgeous! I think you finish a lot compared to me! It's all relative- I don't know how some people find so much time for sewing? And I must figure out that mosaic thing- I think I said that last month! Beautiful finishes! I just bought a bolt (or what was left of one) of that number fabric from Ikea! It is quality not quantity Catherine, and your finishes are definitely quality! Great ATCs - not getting your UJ then as I don't think I've been that quiet! Darn! It is lovely! I love that ATC!! The quilt is gorgeous! 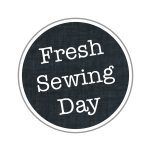 I'm going to try to remember 15th June - at the moment I'm managing to blog once a month, for Fresh Sewing Day but I'll do my best! I'm the lucky lady who you sent your beautifully crafted ATC to. I'd admired this as it was showcased on one of the other blogs so I'm feeling pretty pleased and a little smug that I get to keep it.